Teachers - Enhance student engagement with almost any subject by improving your storytelling techniques. Storytelling is one of the oldest forms of oral communication and plays a very important role in education, particularly for younger children. 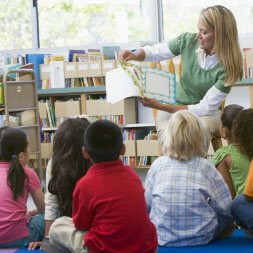 Teachers and trainers who incorporate storytelling into their repertoire of teaching skills can enhance student engagement with almost any subject. In this course you will learn about storytelling as a way of organizing information, conveying emotions, and building a sense of community. You will learn how effective storytelling can lead to an altered state of consciousness that deepens the relationship between teacher and students. Three stories are told that illustrate the theoretical model of storytelling and storytelling ethics and the need for trust between storyteller and listeners are discussed. This storytelling course will be of great interest to teachers and trainers who want to learn more about the effectiveness of storytelling as a tool that can enhance learning within the classroom. Learn about the story listening trance.